Look what the new year brought in! Two new products are in stores at the Bourjois Kiosk in Sunway Pyramid and Watsons stores! 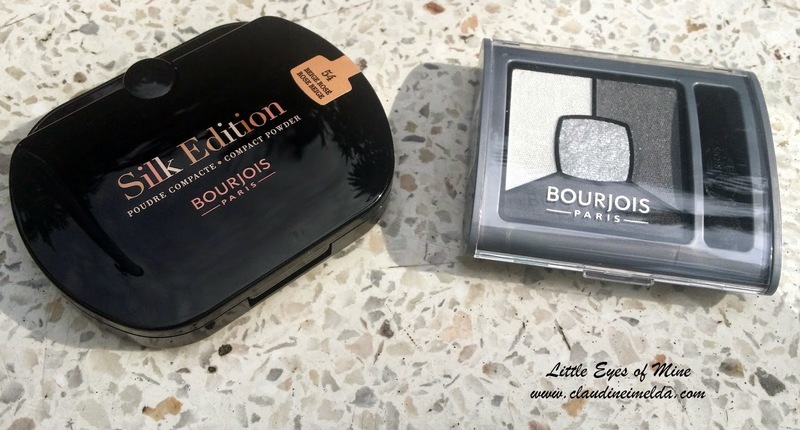 It's always nice to know that Bourjois is constantly spoiling us with oh so pretty products! And one thing that I can say about Bourjois is that they never dissapoint us! Introducing the Silk Edition Compact Powder and Smoky Stories Quad Eyeshadow Palette ! 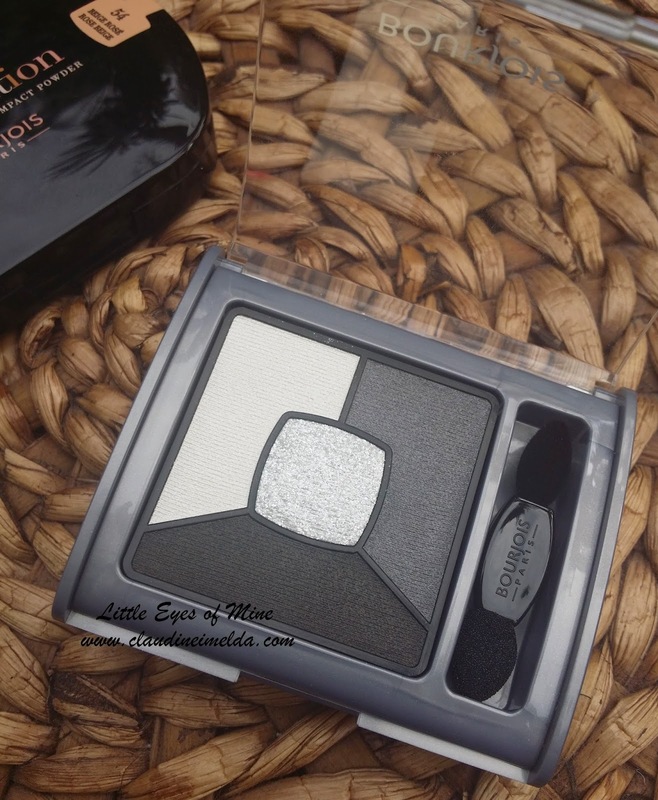 The Smoky Stories Quad Eyeshadow Palette by Bourjois proves that you do not need to be a make up artist to pull of a smoky look! Yes, this is all you need! It comes with pre -coordinated shades plus a cream-powder texture with integrated base shadow primer and a top coat shadow with highly concentrated faceted glitter. As you can see from the swatches below, the color payoff is really good. Pigmented and that definitely means that it's gonna be long lasting. With just one swatch even the pick up is satisfying too. 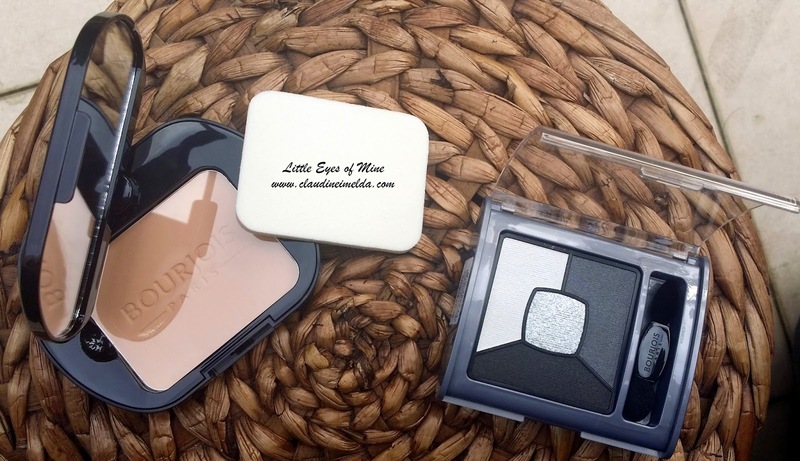 This little palette comes complete with a dual applicator which makes it very convenient for traveling make up addicts! 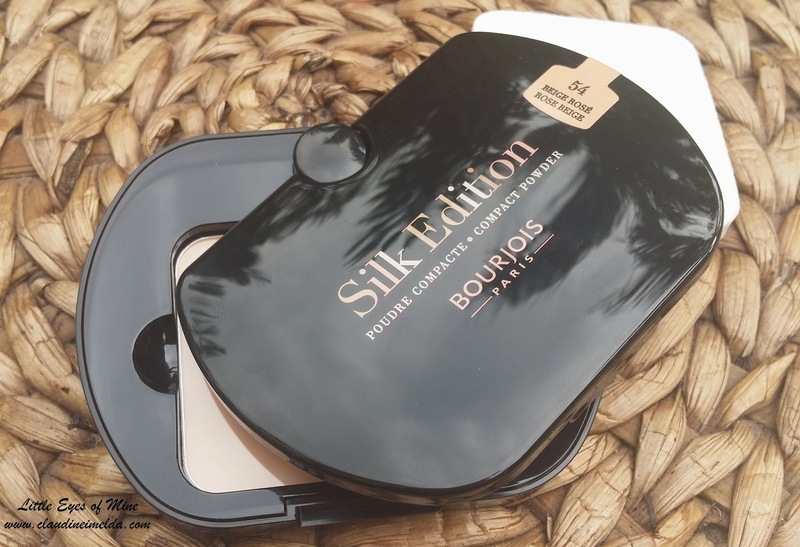 Now on to the Silk Edition Compact Powder. The shade I have with me is the Beige Rose. 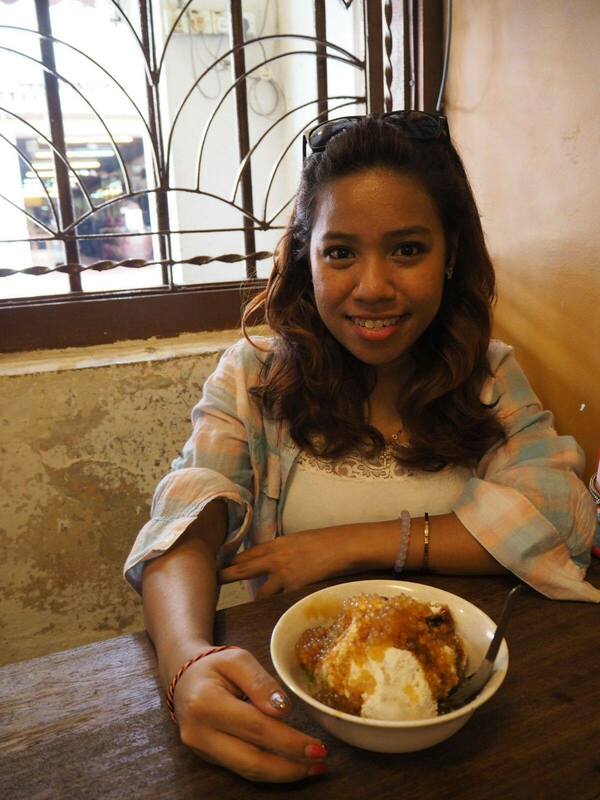 This color is suitable for tan skin like mine. And may I say, the pick up of the product very smooth and light. The texture definitely feels very silky and not thick at all. 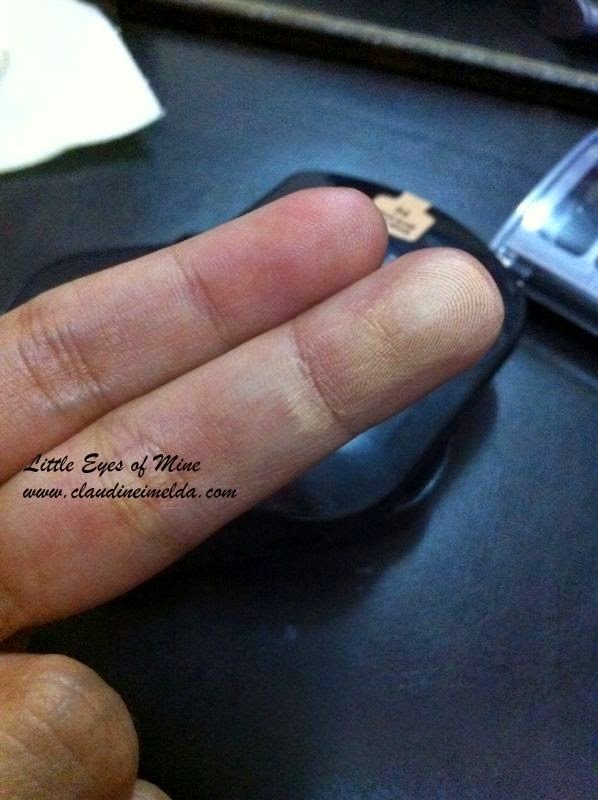 One of the reasons why I seldom use compact powder is because some compact powder feels very thick upon application. This one however does not seem to be flakey on my skin. I tried it on with a CC cream and it looked very natural. I would say , Instead of using it with the sponge like application given, use a brush instead. The finishing is much more satisfying. 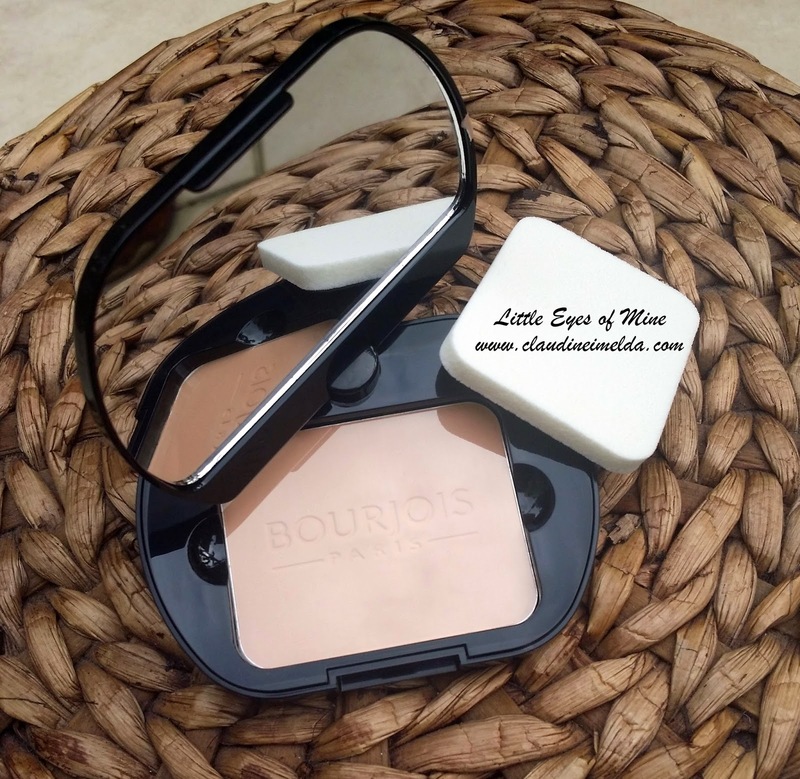 Now, what I love about the Bourjois Silk Edition Compact Powder is the packaging. It is by far one of the coolest packing I've seen! Tell me that you're exactly like me and always wanted make up products to be as cool as the ones that Inspector Gadgets has! Overall, I say thumbs up to both products! 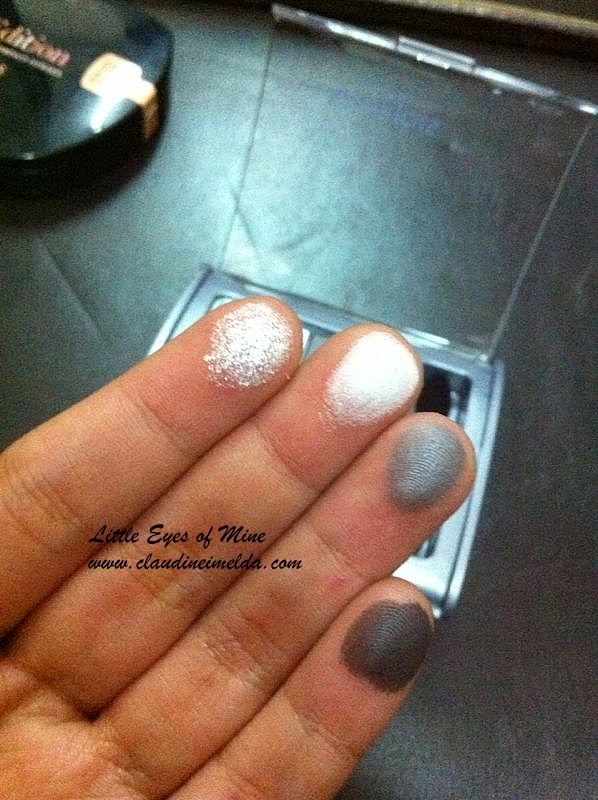 Can't wait to get my hands on the other eye shadow colors available! Who's with me? For more information on their latest products and promotions , head on to Bourjois Malaysia ! They currently have a 1+1 Promotion going on at their Bourjois Kiosk in Sunway Pyramid!